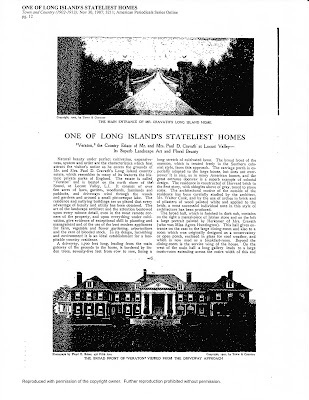 'Veraton' [I], the first of 4 houses built for Paul D. Cravath, this one by Babb, Cook and Willard c. 1905 in Lattingtown, with landscaping by Guy Lowell. 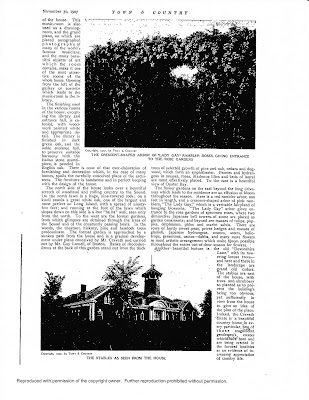 The following article is from the November 30th, 1907 issue of Town & Country and the house unfortunately burned to the ground the following year. Cravath rebuilt on the same site yet that house burned in 1914 (click HERE to read the NY Times article on the fire) and he moved inland. 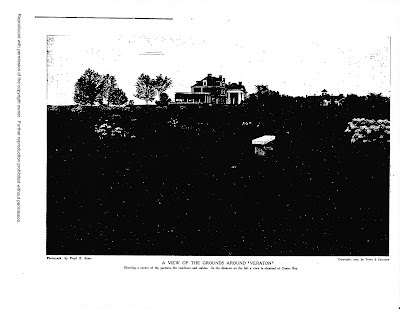 The property 'Veraton' sat on became the site of 'the Creek Club'. Click HERE to see where 'Veraton' stood on google earth. 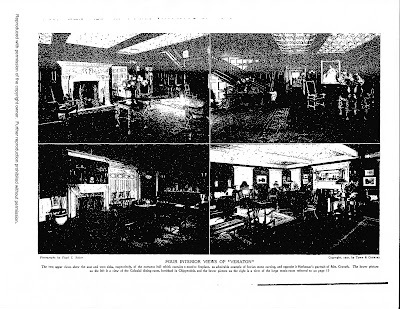 I find it interesting at the grand portico is called the carriage porch (rather than with a reference to an automobile) in the 1907 article. Also, I would like to see a better picture of the exterior to judge the success of the combination of brick, wood trim, and shingles. In some ways, it might be considered a fore-runner of the eclectic use of materials so popular (like it or not) in houses today.